MAY SUN was born in Shanghai, and raised in Hong Kong and San Diego. She received a Bachelor of Fine Arts from UCLA, and a Master of Fine Arts from Otis Art Institute. Her work ranges from theater-based performances to multi-media installations. 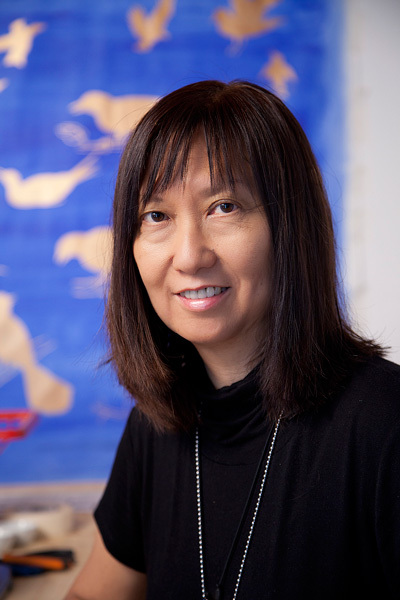 Her public art projects include the Gateway Transit Center, Culver City's City Hall, Boston’s Central Artery, and a commemorative fence for Chinatown. Sun has taught at CalArts in Los Angeles, and been an artist-in-residence at Monet’s Gardens in Giverny, France, and at ArtPace in San Antonio, TX.